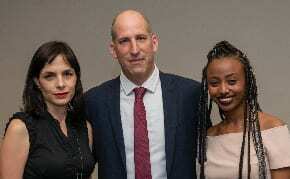 Seven immigrants from English-speaking countries will be honoured as winners of the 2019 Sylvan Adams Bonei Zion Prize, an annual award presented by the Nefesh B’Nefesh aliyah organization including one from Australia. 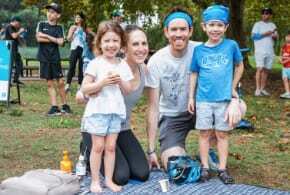 Former Sydneysider Danny Hakim, founder and chairman of Budo for Peace and chairman of Kids Kicking Cancer Israel will be given the Culture, Art and Sports Award. Michael Dickson, executive director of StandWithUs-Israel will be honoured with the Israel Advocacy Award. Beverly Gribetz, principal of the Evelina de Rothschild-Tehilla Secondary School in Jerusalem will be presented the Education Award. Ora Paltiel, director of the Hadassah Center for Research in Clinical Epidemiology will receive the Science and Medicine Award. Leah Abramowitz, co-founder of Melabev, the dementia-focused organization for the elderly, will receive the Community and Non-Profit Award.